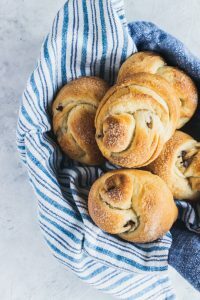 This master recipe for Chocolate Sweet Dough is richly flavorful, pillowy soft, and versatile for filled bread or sweet rolls. Did you know that Micah and I spent the first three months of our marriage living in France? It was a kind of extended working honeymoon. 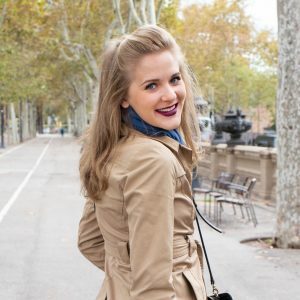 The weeks were spent working from our little apartment, and the weekends were spent hopping on trains to visit the surrounding cities and countries. But before running to the train station, we always stopped at one of the bakeries along the way. Of course, walking so many kilometers all over Europe took care of the butter and carb consumption extras for us. One of our favorite things from the pastry case was the tourbichocs, a roll of plain and chocolate sweet dough swirled together. There was a little bit of chocolate inside them, and a light layer of glaze. They were perfectly soft, and lightly sweet. Ever since we came home, I’ve been trying to recreate those rolls. That was almost six years ago, for reference. The struggle has been the chocolate sweet dough. I haven’t been able to find a recipe that gave me the flavor and texture I needed. It was supposed to be super soft, and not too sweet. Such a recipe eluded me, or simply doesn’t exist. I even read a million (actually more like ten) recipes in French, and no dice. 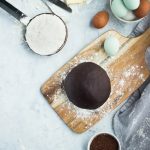 This Chocolate Sweet Dough is everything I was looking for– deeply flavorful, and with a pillowy texture. Because of the milk, eggs, and butter in the dough, the gluten will never develop the strong elasticity of regular dough. But that’s a good thing! It’s what keeps the dough soft enough to sleep on, not even joking. And it’s as versatile as can be. 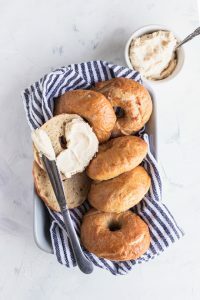 You can make it into a filled swirl bread, or swap out your favorite sweet roll dough for breakfast this weekend. 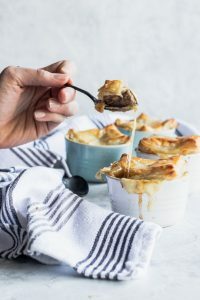 So many options from one little dough recipe–why haven’t I done this before? In a small sauce pan, melt the butter over medium-low heat. Once it is completely melted, add the milk and heat until it is between 100 and 110 degrees. If you don’t have a thermometer, just make sure that the mixture feels lukewarm– neither hot or cold to the touch. If it is too hot, allow it to cool. Once the milk and butter have reached the correct temperature, pour them into the bowl of your stand mixer, fitted with a dough hook. Sprinkle the yeast and sugar over the top, and give it a stir. Let it sit for 5-10 minutes, or until the yeast has dissolved and become foamy. Beat in the egg with a fork. Sift the flour, dark cocoa powder, and salt into the wet ingredients and mix on low until combined. Turn the mixer up to medium, and knead for 6 – 8 minutes, or until the dough is smooth and elastic. I’ve used both dark and regular cocoa in this recipe, and while either works just fine, I prefer the taste and color of the dark. The addition of the fats (butter and milk) cocoa powder makes the kneading process take longer, so be patient! The dough will never have the kind of elasticity that a fatless dough will, but that helps give the finished product it’s soft, tender texture.